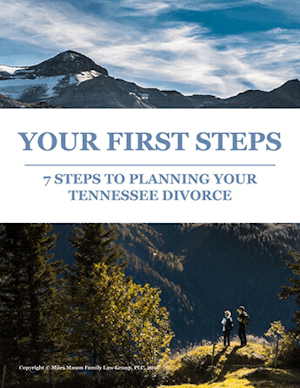 Tennessee alimony divorce case summary after 18 years married. Error correction: Original post listed this as a 12 year marriage. Parties married in 1994 and divorce originally filed in 2013. The husband and wife in this Shelby County, Tennessee, case were married in 1994 and had one son, who was born in 2000. The husband was the operations manager of a family-owned liquor distributorship. He also bought and sold assets as a venture capitalist. The wife had worked as a middle school teacher but later earned a degree in information technology. Starting in 2003, she had worked on a part time basis selling real estate, but her income never exceeded $20,000 per year. The wife filed for divorce in 2013, alleging inappropriate marital conduct and irreconcilable differences. In particular, she argued that the husband had an extensive history of alcohol abuse and verbal and physical abuse. The husband denied these allegations, and alleged that the wife had been physically and verbally abusive during the marriage. The case dragged on for almost three years until the nine day trial was held in 2016. After dividing the parties’ property, the trial court awarded the wife alimony in solido in the amount of $200,000. Both parties then appealed various issues to the Tennessee Court of Appeals. After addressing other issues, including the trial judge’s failure to recuse and property issues, the appeals court turned to the issue of alimony, which the wife alleged was insufficient. The trial court had noted that the award was in the nature of attorney’s fees, and was not intended to provide support to the wife. It had initially made an award of $400,000, but later amended this amount to $200,000. 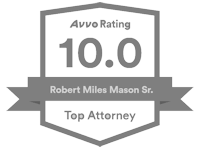 It noted that this amount was to assist the wife with litigation expenses made necessary by the husband’s failure to comply with certain requests during trial. The wife argued that support should have also been awarded, since she would need to deplete many of the awarded assets to maintain her standard of living. She suggested that $800,000 would have been more appropriate under the circumstances of the case. The appeals court noted that under the appropriate standard of review, the decision as to alimony is highly fact driven, and appellate courts are reluctant to second guess the trial judge. But even under this standard, the appeals court agreed that the amount awarded was insufficient. It noted that the primary purpose of alimony is support, and that the wife was already found to be the disadvantaged spouse. It found that the wife had already incurred attorney fees of $272,000, so that even paying these fees would require her to deplete her assets. Therefore, the appeals court increased the award to $300,000. The appeals court also found that some type of rehabilitative or transitional alimony would be appropriate in the case, given the wife’s earning and employment history. 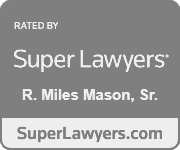 Since the amount of such alimony would require additional factual findings, the Court of Appeals remanded the case for the lower court to make that determination. For these reasons, the Court of Appeals sent the case back for further proceedings. No. W2017-01864-COA-R3-CV (Tenn. Ct. App. Jan. 23, 2019). To learn more, see Alimony Law in Tennessee.